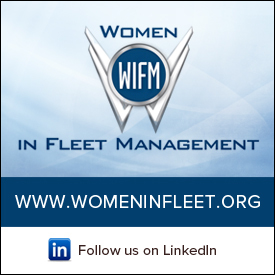 Members of the NAFA Fleet Management Association know how much it has helped support their careers in so many ways: through its annual Institute & Exposition, webinars, educational programs, publications, and networking opportunities. But do you know that behind NAFA stands the NAFA Foundation, a non-profit organization that does even more? Since its beginnings in 1976, the Foundation has expanded its role from working with institutions of higher learning to publishing case studies relating to vehicle fleet management, offering scholarships, funding computer-based tools for making fleet management decisions, and conducting industry benchmarking studies. More recently, the Foundation has funded two white papers and, this year, is hosting “Mobility Day” at the Institute & Expo Wednesday, April 17, in Louisville, Kentucky. For each category of donor, there are different defined levels of tax-deductible contribution: bronze, silver, gold and platinum. For individuals, the amounts range from $100 to $1,000 or more; for chapters, $250 to $1,000 and above; and for companies, the range starts at $1,000 and tops out at $10,000 or more. For more information and to make a donation, visit the NAFA Foundation’s website at www.NAFAFoundation.org.